Georgiana, Duchess of Devonshire is the great-great-great-great aunt of Princess Diana and a relative of Baby Cambridge.This ultimate fan guide celebrates Georgiana's life as loving mother, entertaining friend, de facto politician, and Empress of Fashion. It includes reviews and an "Absolute Plot Spoiler" for: the 2001 biography by Amanda Foreman; the 2008 movie, "The Duchess"; the 2009 DVD; and the real life of Georgiana, Duchess of Devonshire. 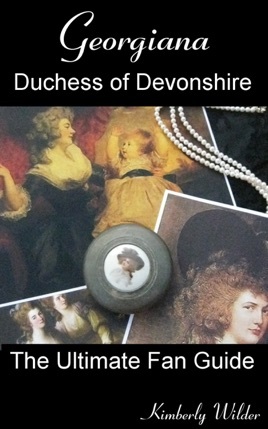 A must read for fans of Georgiana, Duchess of Devonshire.